Baller⎯not the accessory⎯a slang term for those playing basketball. Almost every Filipino baller started from streetball. Even NBA players like Kyrie Irving⎯that man is streetball personified⎯not to mention our local professional players such as Paul Lee who lived and breathed basketball in Tondo started on the streets. 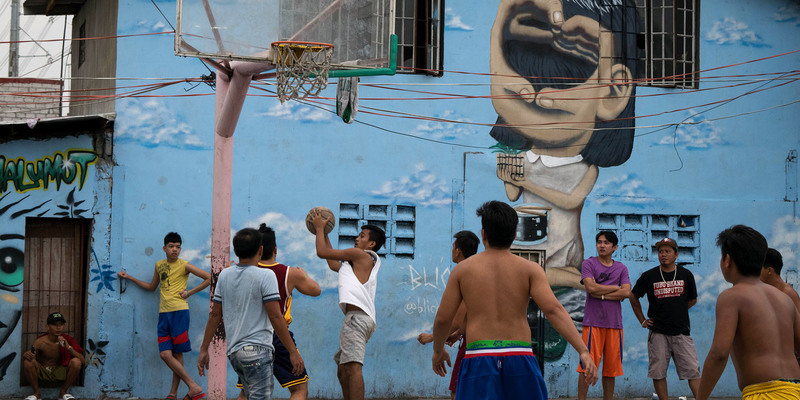 The Filipino’s love for basketball is no secret⎯almost every barangay in the Philippines has its own basketball court full of ballers who sacrifice the life of a cheap pair of flip-flops for a chance to play ball—with or without shirts. If there’s anything Filipinos love aside from basketball, it’s streetball, a non-formal style of basketball⎯or larong kalye in Filipino—a carefree game for anyone at any age and a footloose game for our Patriot cagers and coaches. Streetball⎯the sweet taste of “no blood, no foul” and freely showcasing shammgods and breaking your opponents’ ankles. No, not literally breaking bones, but putting their legs up on skates until they fall down and gather celebratory “ooohs” from the tropa. Everybody starts from being “I”⎯a selfish, arrogant self. And in streetball, that includes stare downs, physical harm, and cursing the player you’ve crossed over. Although sometimes unethical, streetball requires “I” in order to be part of the team. These gestures construct the very foundation of streetball, the very criteria for a “survival of the fittest” mentality. After all, it’s informal with its battleground style for ballers⎯the first step in loving basketball. For Patriot cager John Cantimbuhan, layong kalye prevented him from a future of waking up on the streets. 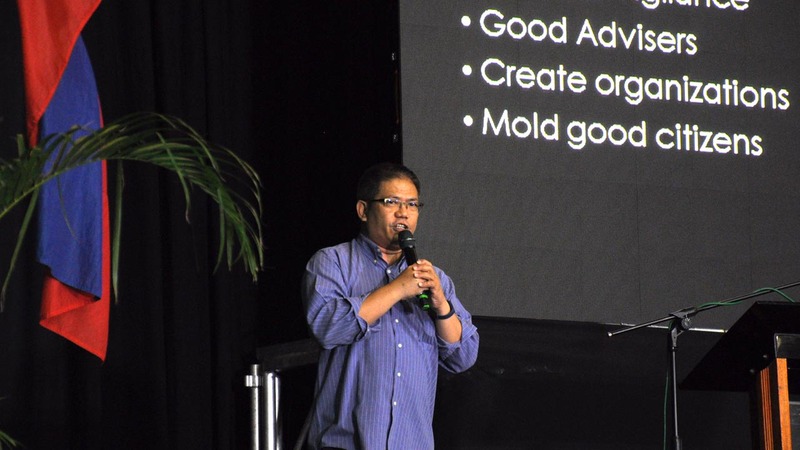 The Patriot said that Ligang labas or non-formal leagues outside supported his career. “Maraming natulong, like no’ng before kasi ako mag-varsity, since no’ng high school. Nai-scout lang talaga ako sa ligang kalye, sa ligang labas lang,” he shared. “Doon ako nag-start noong high school no’ng kinuha ako ng coach namin sa St. Jude,” the point guard added. Indeed, streetball sparks the integrity of a baller and sharpens the skills of the most famous of ballers. Coach Chot Reyes, the Philippines’ national team head coach, affirms this. “The most talented players may not be in the PBA or the national team, it might be in some barangay somewhere⎯smoking, working⎯that breaks my heart. But we should be doing as a nation⎯if we’re doing our jobs right⎯to find the best basketball players that should be representing the National team.” he said when he hosted Nike Rise, a program in search of streetballers in the deepest parts of the country. Even better than obtaining glory and pride is treating streetball as a way to school and a guide for one’s future. Much like his cager, Patriot head coach Arnold Oliveros owes streetball a debt of gratitude. “Sa career ko, nakatulong sa akin kasi ‘yon nga, natuto akong makipag-mingle sa ibang players. Marami akong naging kaibigan. Same din sa coaching, kailangan malawak rin ‘yong network mo. ‘Yong connection mo. Kailangan matuto rin makipag-mingle sa ibang coaches,” he said. We are all familiar of the times when our neighbors and childhood friends would gather in the court in the hopes of the ligang labas championship. Whether you’re a fan or not, whoever wins this championship will be the talk of the barangay. “Sa streetball kasi talaga more on bonding ‘yan. Parang family kayo. Halos same lang rin sa mga kaibigan.” Oliveros said. After everything, all will be back to the old way of living for ballers⎯back to the concrete or rubberized basketball courts. Back to waiting for dayo or baller visitors from other subdivisons and pustahan⎯which are most of the time won by the home team. All of these things are summarized in a phrase⎯streetball brings camaraderie and comfort. For both budding ballers and professional players, even in the most daring situations, we can resort to streetball. 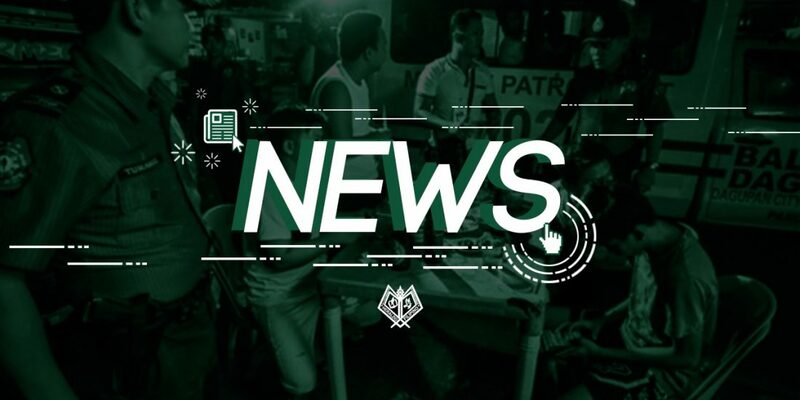 “‘Pag sa streetball, kapag may problem ka, nandiyaan ‘yong mga barkada mo. Nailalabas mo ‘yong sama ng loob mo. Kumbaga hindi naman mawawala ‘yan eh. Hanggang ngayon ako, ‘yong mga kaibigan ko, nakakalaro ko sa streetball,” Oliveros said. In the second year coach’s family, their bonding is streetball as well, “Minsan naglalaro ang father-and-son, together. Magandang bonding ‘yon as father and son. Kagaya ko, may anak ako. Minsan naglalaro kami. Dumadayo kami, nakakasama ko siya. Iba ‘yon. ‘Yon ‘yong magandang makukuha natin.” he said. He also treasures non-formal basketball as a way to develop a father-son bond. “Sa tatay ko, since mahilig siyang mag-basketball, mas lalo kaming nagiging close, kasi every game kapag may laro ako sa liga ng labas ganiyan. Lagi siyang sumasama. Super supportive din siya, mas lumalapit siya,” Cantimbuhan mentioned. Larong Kalye’s perks isn’t limited to just team tambay. Most of today’s basketball superstars started from streetball. Together with hard work and the right amount of passion, playing on a concrete court with cheap sandals can soon turn into a hardwood one, with your feet burning with the same passion.